Can breast milk be heated after it’s been stored in the fridge or freezer? What’s the best way to prepare stored breast milk? If you choose to pump your breast milk, you’ve probably asked these questions. Many women choose to pump and store their breast milk because they’re looking for greater flexibility in their feeding schedule. However, that comes with some technical requirements, like keeping your breast milk cool while it’s stored, and heating it properly to ensure it’s safe for your baby. Managing all the small details of breastfeeding may initially seem like a lot. However, once you learn the basic facts and how-tos of readying breast milk for feeding, it will become second nature. There’s only one way to get this process started — keep on reading! How Do I Heat Breast Milk? Does Heating Change Breast Milk? Because breast milk provides the perfect combination of nutrients, vitamins, and antibodies your baby needs to grow healthy and strong. Babies who are fed breast milk also experience fewer doctor’s visits and a decreased risk for Sudden Infant Death Syndrome (source). However, some mothers struggle to breastfeed. Breast pumps, though, make it possible for these moms to continue providing breast milk to their babies. Being able to store breast milk and heat it when it’s needed can help busy moms continue to provide the benefits of breast milk. If you choose to pump your breast milk, it needs to be stored in a cold place until you’re ready to use it again. The methods you use to store your breast milk should be determined by when you plan to use it next. You can even purchase entire kits that contain a cooler bag, a breast pump, and storage containers. Avoid using regular plastic bags, as they can burst when frozen and the plastic may leech into the breast milk. It’s important to store your breast milk at the correct temperature to prevent bacteria from growing, especially if you’re storing a half-used bottle that’s been exposed to saliva. Fresh breast milk: Freshly pumped breast milk can be stored in a 40°F refrigerator for up to 4 days or in a 0°F freezer for up to six months. 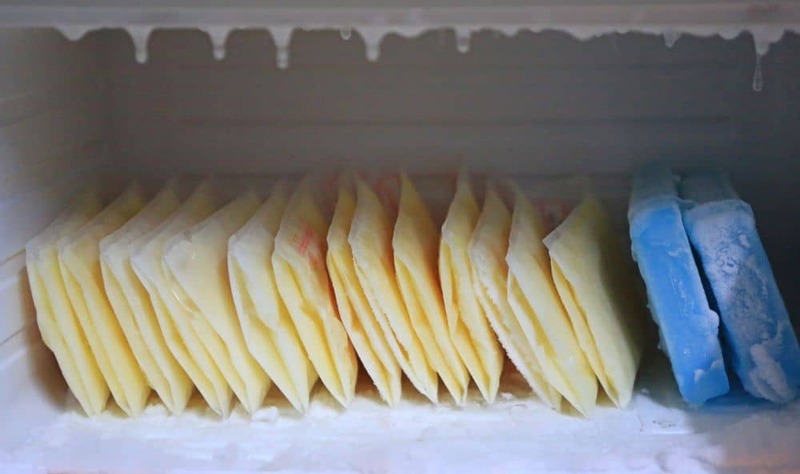 Thawed breast milk: Thawed breast milk can be placed back in the refrigerator for up to 1 day. It should never be refrozen and reused. Unfinished bottle: You need to reuse breast milk from a bottle your baby has fed from within 2 hours of the feeding. It can be stored right on the counter or in the fridge. After 2 hours, dispose of it. The saliva will start breaking down the enzymes in the milk and bacteria can grow. You may want to get a storage system that allows you to keep track of how long breast milk has been in your freezer or fridge. You can also develop your own using post-its, chalk markers, or whatever you find easiest. The fact is, you don’t need to heat breast milk. Your breast milk does not need to reach a certain temperature after it’s been thawed to be usable. As long as it has reached a liquid state, without any ice crystals, it’s safe for your baby to ingest. However, many babies prefer warm breast milk. Heating the breast milk can take off the cold edge, making for a more comfortable feeding experience. Warm breast milk can also help soothe and calm babies during feedings. Thaw: Thaw your breast milk in the fridge overnight. It should reach a fully liquid state. Do not thaw frozen breast milk at room temperature. Warm: Place the thawed breast milk into a bowl of warm water for 20 minutes. Swirl: Swirl the milk inside of the bottle to evenly distribute the heat and reconstitute it. If you’re in a hurry and your milk is frozen in bags, you can thaw and warm the milk by holding the bag under running warm water. You can use your fingers to break up the ice crystals, speeding the process along. The thing you need to be most careful of is overheating. If breast milk becomes too hot, it not only loses some of its beneficial nutrients, but can burn your baby. The bottle, especially if it’s glass, can also overheat and burn your baby’s skin when touched. Never heat breast milk in the microwave. Microwaves heat unevenly, which could cause hot spots. You will also have a hard time ensuring your breast milk has not become too hot. Unless you plan on never leaving the house with your baby, there will like be times when you need to feed on-the-go without the comforts of home. While some mothers choose to breastfeed in public, others choose to bring bottles of breast milk with them. Here are a few ideas on how to keep the breast milk flowing, no matter where you’re going. Thawed breast milk can be kept at room temperature for two hours. If your outing is short, just store the thawed bottles in your favorite diaper bag. If you plan to be out for an extended period of time, consider a more long-lasting storage solution. 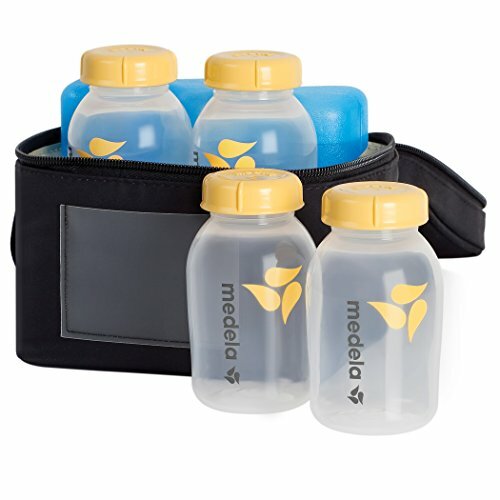 If your baby will drink cold breast milk, carry the bottles in a cooler such as this one. It will keep your breast milk safe for up to twelve hours. 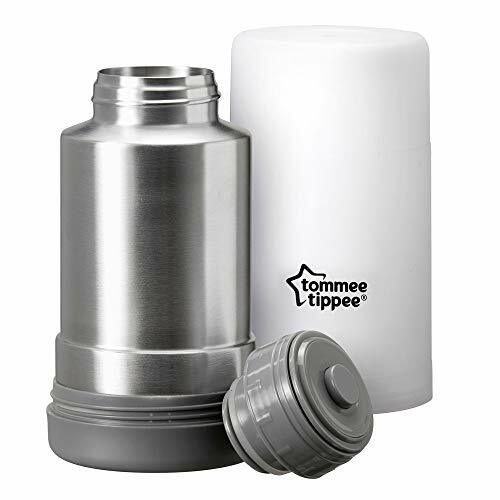 If your baby prefers warmed breast milk, keep the bottles in the cooler but use a travel bottle warmer to heat it up. You can also run the bottle under hot water in a bathroom or ask a restaurant waiter for a glass of hot water. Avoid keeping breast milk in a hot car and make sure to keep track of how long bottles have been sitting out at room temperature to avoid spoiling. Always check the temperature before giving to your baby. The easiest way to test the temperature of breast milk is to place a few drops on the inside of your wrist. It should be slightly warm, but not hot. If you believe it’s too hot, imagine the effect on your baby’s sensitive skin! You can also purchase a small temperature checker designed with bottles in mind. All you have to do is place the bottle on the small scale and the device will tell you the temperature of your bottle. The ideal temperature for breast milk is approximately 98.6°F, just around the average body temperature (source). Don’t put your finger in the breast milk or place the bottle to your lips — this will increase the risk of passing germs on to your baby. You may have heard about bottle warmers, special machines designed to make thawing and warming milk easy. Do you really need one? If your baby isn’t a picky eater, bottle warmers will likely not make much of a difference to them. 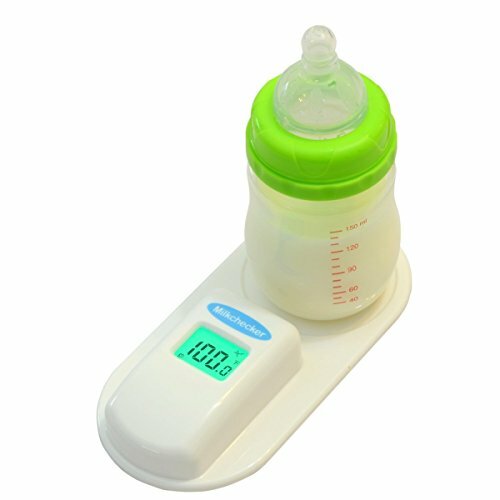 However, if your baby is finicky about bottle temperature, a bottle warmer may be useful for warming and circulating the breast milk in one easy step. You’ll want to do some research before purchasing a bottle warmer. Some bottle warmers are not recommended for breast milk, and are better for formula. Bottle warmers can also be a good investment if you plan on warming baby food as your little one grows. A major concern with bottle warmers is overheating. Make sure to test out your settings and find how hot your bottle warmer runs. The major concern with overheating breast milk is burning your baby’s sensitive mouth and skin as they try to drink the milk or touch the hot bottle. Overheating also damages the breast milk, destroying many of the important nutrients your baby needs (source). If you accidentally overheat a bottle of breast milk, you can cool it down and it will be safe for your baby to drink. However, you want to make sure the breast milk is used within two hours. Your breast milk may look slightly different after you store it and when you heat it. Once milk is refrigerated or frozen, it may separate. The fat in the milk travels to the top while the liquid sinks to the bottom. Simply swirl the bottle once it’s warmed to mix the solids back in. After heating, it’s normal for your breast milk to change color. It may take on a blue, yellow, or even brown hue (source). This discoloration is not generally a sign something is wrong with your breast milk and is still safe for your baby to drink. There are times when a bottle may have been left out too long, or that thawed portion of breast milk in the fridge doesn’t seem right. In these situations, it’s key to remember that breast milk can go bad. There are a few key identifiers to spotting spoiled breast milk. Just as with cow milk, the most obvious sign of spoiling will be a bad odor and curdling. Even though your breast milk may separate, it should easily mix back together. If it does not, it may be bad. If you’re concerned about your breast milk and these other signs are unclear, taste it. If it has gone bad, It will have a strong sour taste. Occasionally stored breast milk will have a smell or taste that is often described as soapy. This is thought to be from excess lipase in your milk. This milk is still safe for your baby, though some babies reject the milk because of the change in taste. If you believe this is happening with your milk, you can try scalding and quickly cooling freshly pumped milk before storing it (source). If you have previously frozen milk that your baby won’t accept, consider trying to mix it with freshly pumped milk. There’s not any known way to get rid of the soapy smell and taste once the milk has been frozen and thawed, though some moms suggest adding vanilla extract may make it palatable. If you’re unsure as to whether or not the breast milk in question has gone bad, play it safe and throw it out. Make sure to keep track of how old your breast milk is. Many freezer bags and bottles have a space for you to write the date and time. Use the breast milk with the oldest date first. Sort them in your freezer so they are right in front and ready to be taken out first. Make sure you clean your breast pump and all bottles properly. If not properly cleaned, old breast milk stuck in the bottle or pump can contaminate new breast milk (source). By following these safety rules, you can heat breast milk easily, ensuring your little one is nourished when you can’t breastfeed directly. By following storage guidelines and using some unique tools like coolers and bottle warmers, you can store and heat breast milk with ease! Do you have tips or suggestions for heating breast milk? Share your knowledge in the comments below! If you know a mom with questions about heating breast milk, please share this article with them.